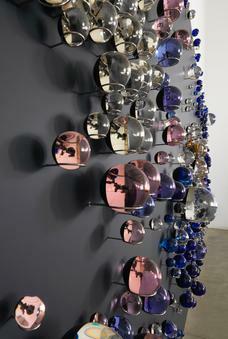 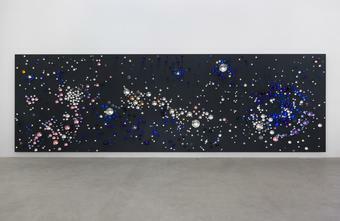 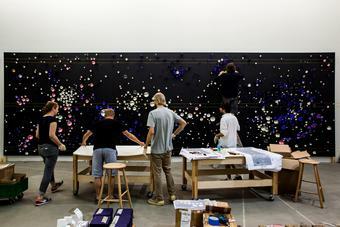 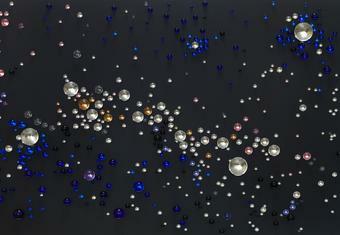 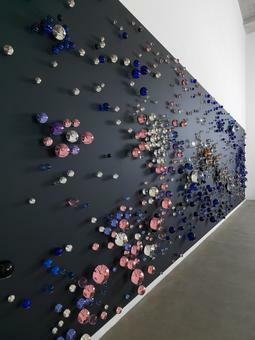 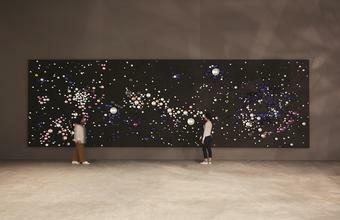 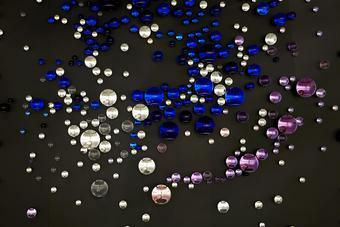 More than a thousand glass spheres, in a range of sizes and colours, are positioned on a black wall in clusters that form a larger composition. 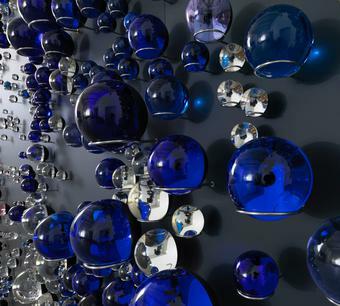 The softly luminous tones of the spheres and the organic style of their arrangement recall astronomical phenomena such as constellations and nebulae. 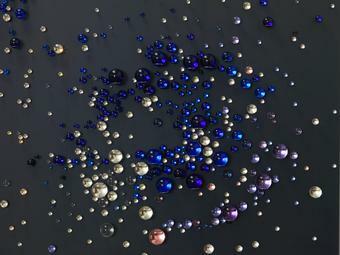 Some of the spheres are covered on the rear third of their surfaces with mirror coating, causing them to reflect a vivid inverted image of the viewers and surroundings. The work is thus filled with a multitude of repeated, synchronised images – distant yet connected points that respond together to viewers’ movements, rewarding investigation and interaction, and bringing the viewers’ own images into the cosmos of the work.